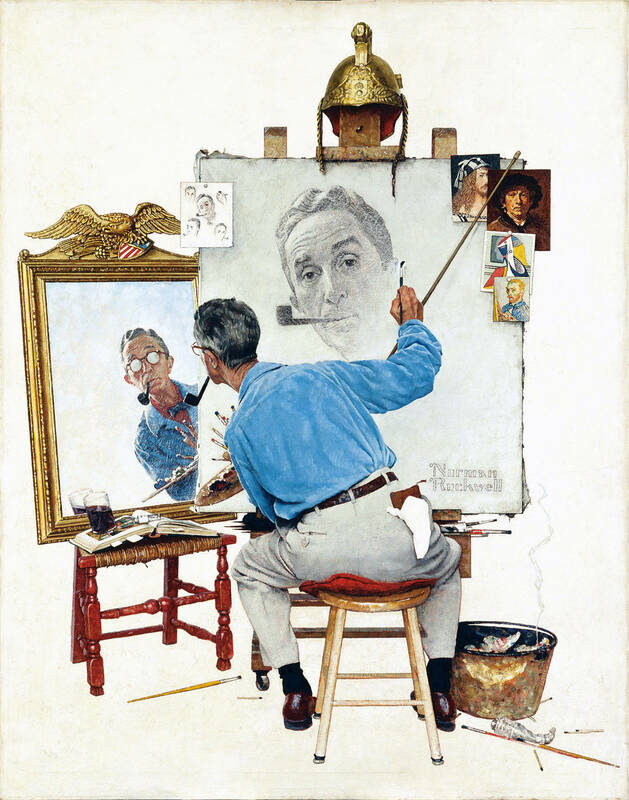 Norman Rockwell‘s Triple Self-Portrait (1960) pretty much does what it says. Behind the humorous façade, however, lies a highly self-conscious painting. Famous self-portraits by Dürer, Rembrandt, Picasso, and Van Gogh appear. Three of the most popular genres of self-portraiture are represented alongside the ‘standard’ oil self-portrait: the study, the artist at work, the artist in the mirror. Still, the artist himself remains elusive, his eyes concealed behind the reflection on his glasses.